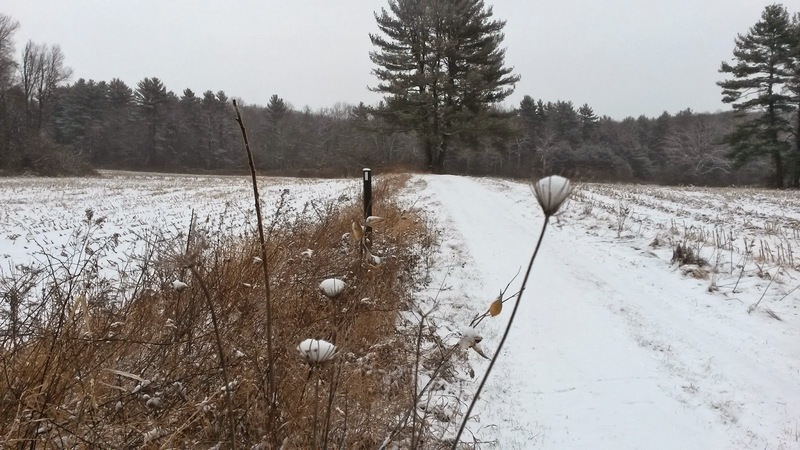 Last Thursday I was out on the Appalachian Trail in an agricultural area of the Housatonic Valley in Egremont. It was between snow storms. It had snowed about two inches the night before and snow was in the air but it was not too cold. 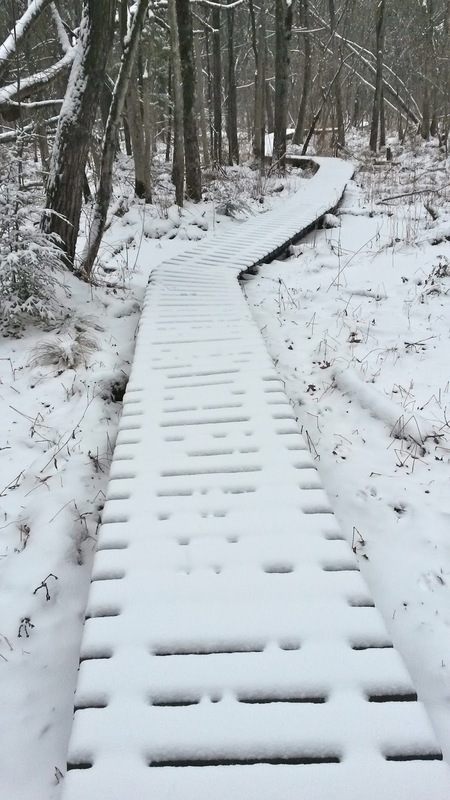 There was just enough snow to create beautiful contrast on trees and shrubbery and highlight the animal tracks, but not impede walking. It is one of the few flat sections of the AT. A wonderful walk! 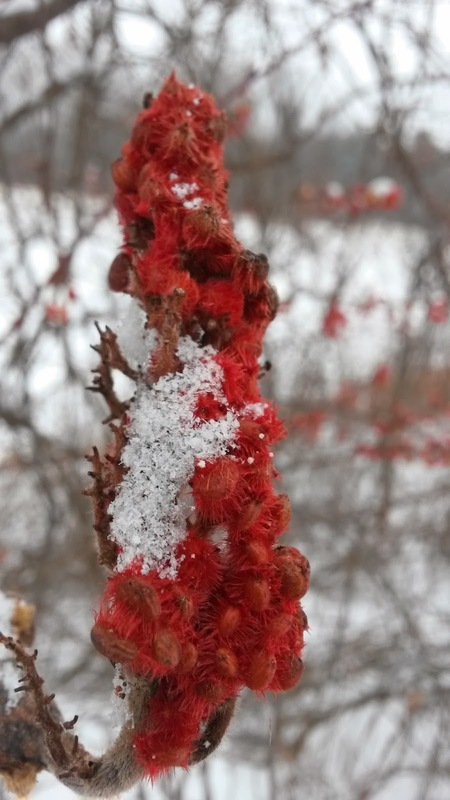 I loved the snow on the bright sumac seeds. Here, the trail is on a farm track between two corn fields. 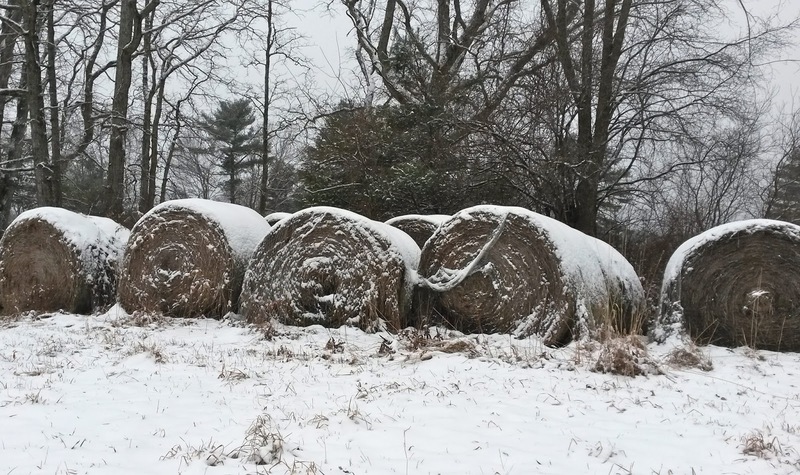 Snow resting on last summer's hay. 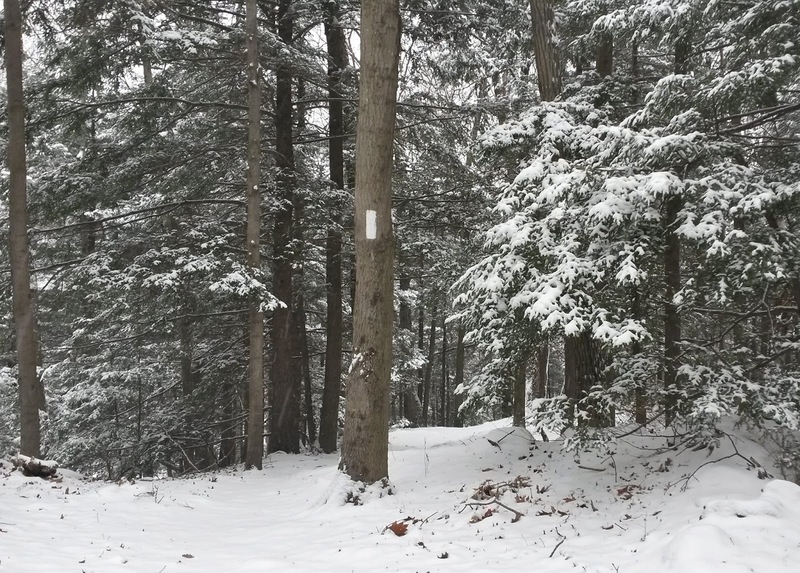 It was peaceful and quiet in the young hemlock and hardwood forest. 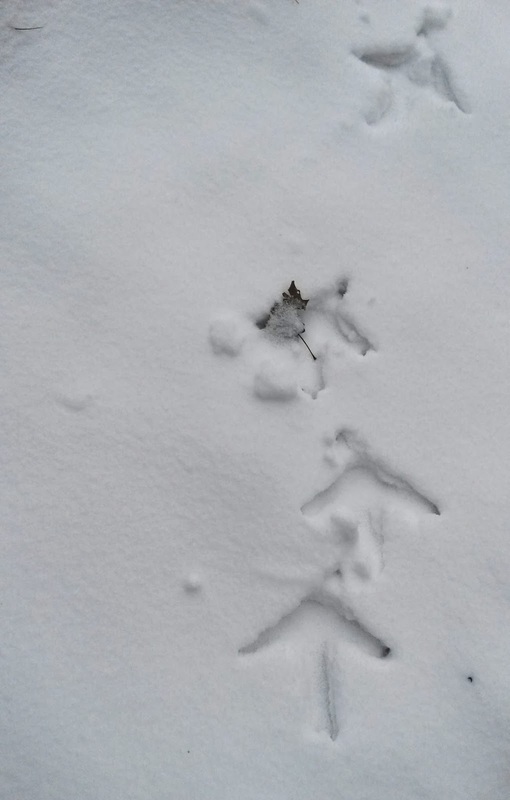 A couple of turkeys had been here earlier. 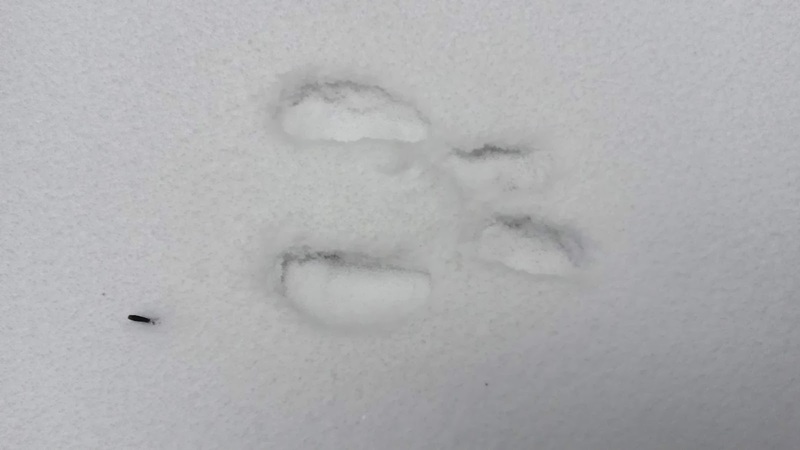 A squirrel had leaped between two trees. the first place I find skunk cabbage! 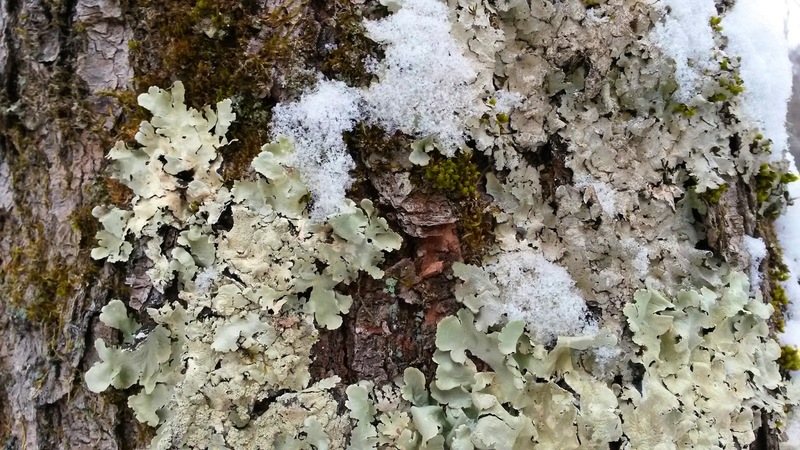 I loved the contrast of the lichen, moss, bark and snow on this tree trunk. 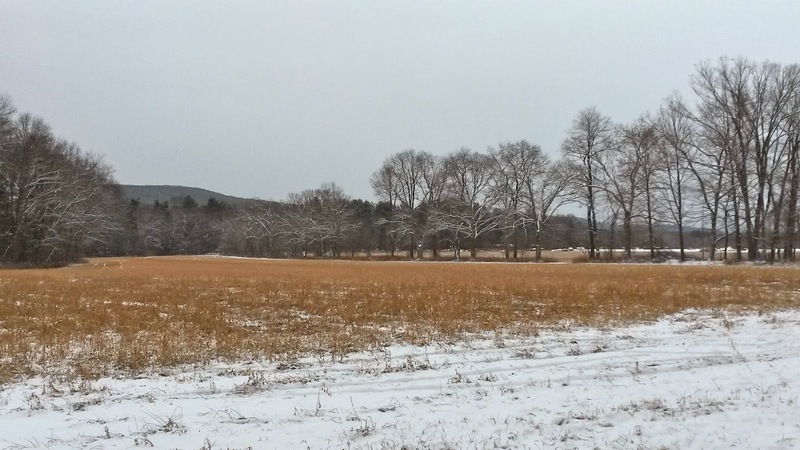 The beautiful subtle colors of winter on the farmland. 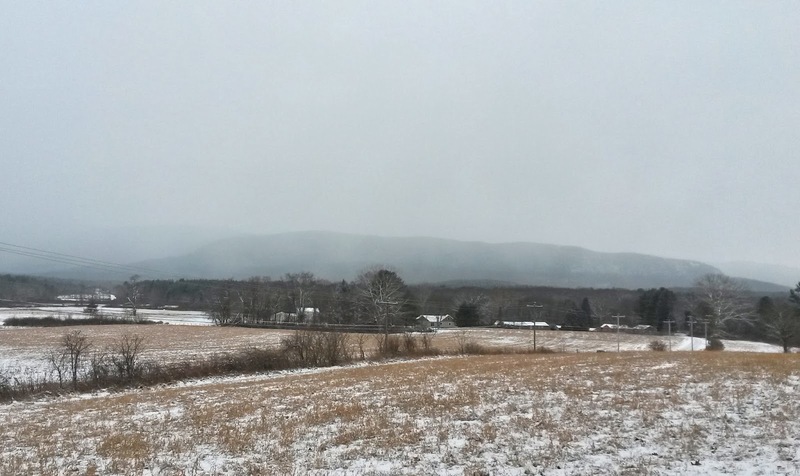 Looking across the fields to Jug End Mountain. Mt. Everett is barely visible in back to the left.